Thank you for your interest in the stud and its horses. At Chalani we do not leave anything to chance - every horse is the result of a carefully planned breeding programme incorporating the modern principles of genetics with the proven practices of master horse breeders of the past. At Chalani we believe in raising horses as naturally as possible, and handling them calmly, quietly and progressively for best results. Our stud's record over the years is testimony to this programme, as buyers have gone on to achieve all over Australia in a wide variety of fields and at the highest levels. Initially the stud was founded by Jeanette Gower in 1967, with the birth of the first foal, Chalani Ricochet, from a favorite polo mare Paradis, whose bloodline is still in the stud today. Jeanette later married Peter Gower who was well known for his professional photographic skills in the Equestrian industry. He spent four years on the Board of the Australian Stock Horse Society. Both spent most of their lives riding and educating horses. Jeanette is a foremost authority on colour genetics, a respected judge and a former Equine Studies lecturer at TAFE and can quickly sum up the attributes of a horse. 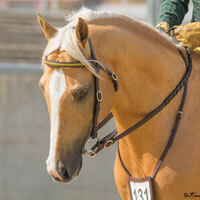 Daughter Kim has enjoyed breaking, breeding and successfully showing and competing with the Chalani horses. The Chalani horses are now based at Strathalbyn. As a result of demand most of the horses are sold as youngsters. We recommend that intending buyers select our best stock as weanlings for older horses are not always available (and before the price goes up!). Mare owners who breed to our stallions find a ready demand should they decide to sell the progeny. 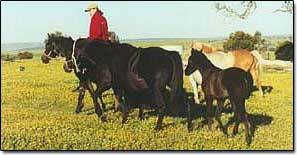 Most however, breed for their own use and find the resultant foals immensely satisfying. We care greatly about the welfare of the horses and the type of home to which they are sold. It is in the horse and stud's interest for us to assist you in whatever way we can. We genuinely believe in giving after sales service. We hope this site is of interest and can offer you insight into the background of the Chalani horses. If you have any further queries, remember we are just a phone call away.